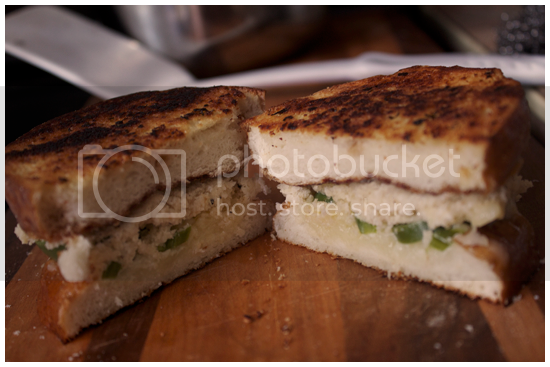 I couldn't very well go through grilled cheese month without posting a grilled cheese of my own! I think that violates some rule or law of food blogging. Or hey, maybe I wanted an excuse to eat grilled cheese just like the rest of you people, with your...fresh breads, your marinades, your bacons and all that melty cheese......... Alright, before I start drooling all over my keyboard. Somehow, it never gets old. 1. Whisk together vinegar, sugar, and salt. 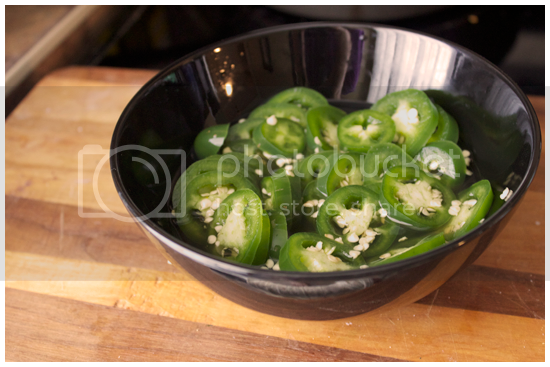 Add the sliced jalapenos to the mixture, tossing to coat. Let sit for at least 30 minutes before using, tossing occasionally. For deeper flavour, make a day ahead, cover and chill. 1. 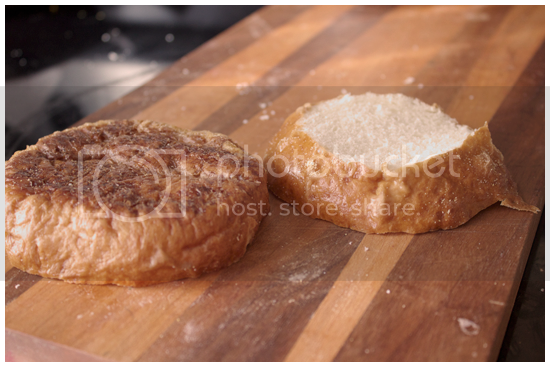 Cut the pretzel roll in half, flipping it inside out, so the cut sides are outwards, and the brown part is inside. 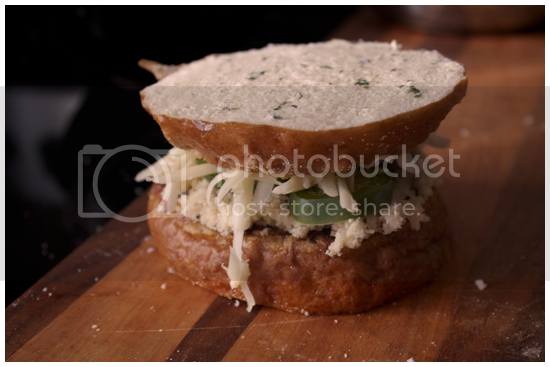 If you want a flatter sandwich, carve off the "dome" of the bun. 2. Combine the cream cheese, panko crumbs, salt, onion powder and half of your grated cheddar in a small bowl until it becomes spread-like. 4. Grill in a pan or on a panini press over medium heat until the outside is golden brown and the inside is melty and delicious. 1. Cut the buns in half, then cut off the dome section to make a flatter sandwich. 2. Combine the panko, cream cheese, half of the cheddar, salt, pepper and onion powder in a bowl. 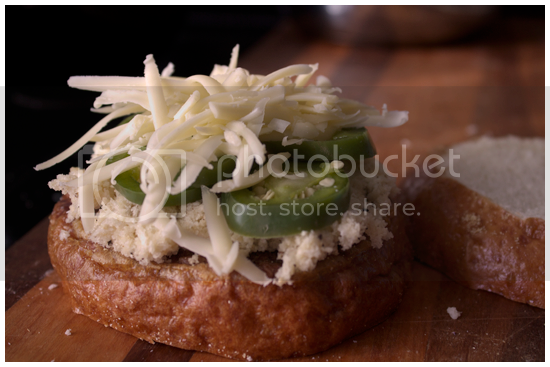 Spread it on the roll, press a few jalapeno rings into it, and sprinkle with more cheddar. 3. Top with the other bun, slather with butter and fry. it. up! I don't even have another finished picture to show you because I ate this thing so fast.